The KMEA Fund offers scholarships to students, awards grants to teachers, and provides a vehicle for people who want to financially support the future of music education in Kansas. Music is an integral, vibrant part of life. The lifelong process of learning, performing, creating, and appreciating music brings meaning and richness to our heritage and culture. 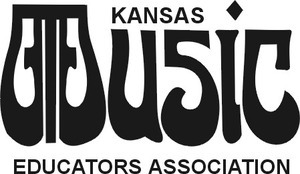 The Kansas Music Educators Association is an organization of music educators committed to the concept that the study of music is a positive influence in the lives of individuals and society as a whole.